Astro-Climate-Connection: The Dec-January-February Zonal N=4 Standing Wave in the SST and MSLP Anomalies of the Southern Hemisphere are Back! 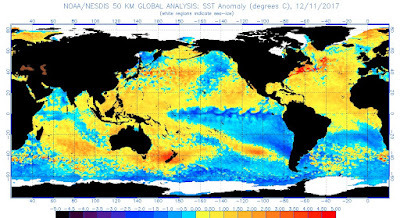 The Dec-January-February Zonal N=4 Standing Wave in the SST and MSLP Anomalies of the Southern Hemisphere are Back! 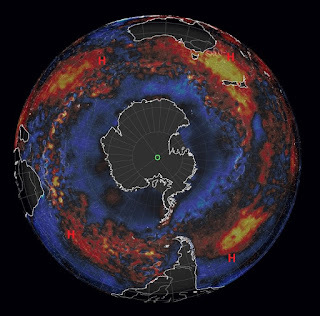 Nikolay Sidorenkov and I published a paper in 2013 that showed that a zonal N=4 standing wave-like pattern appears in the December-January-February Sea-Surface Temperature (SST) anomalies and Mean Sea-Level Pressure (MSLP) anomalies found in the mid-latitudes of the Southern Hemisphere. These SST anomalies are produced by the periodic reinforcement of the four semi-permanent high pressure cells that are located in the Southern Hemisphere's Sub-Tropical High Pressure Ridge, as shown in figure 1. The standing wave pattern reappears roughly once every 8 - 9 years in parallel sequences that are shifted with respect to each other by ~ 3 years. 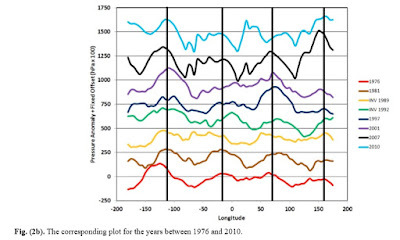 Figure 2 shows the zonal pressure anomaly profiles for some of the more prominent zonal N=4 standing wave-like patterns between 1976 and 2010. Columns A and B of table 1 below identify all of the major zonal N=4 standing wave-like events since 1947. with the last two being in 2007 and 2010. If the observed periodicity were to continue, you would expect to see the N=4 standing wave pattern in the SST and MSLP anomalies to re-emerge in months of December-January-February 2014-15 and 2017-18. It now appears that this is indeed the case. The zonal N=4 standing wave-like pattern in the MSLP anomaly is being produced by lunar-induced atmospheric tides that circle the Earth roughly once every 18 years. 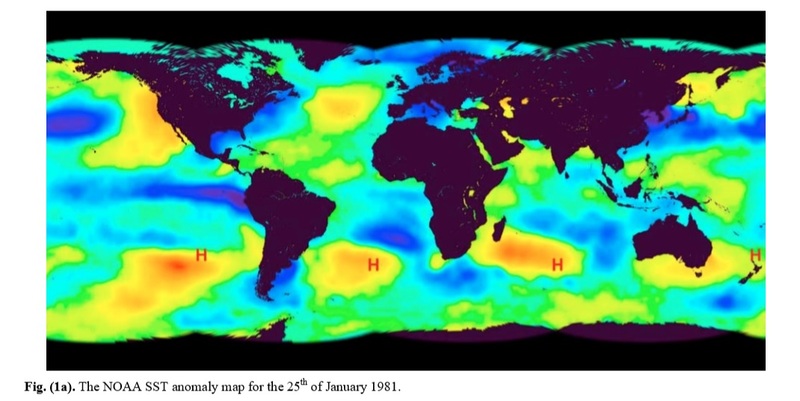 These tides periodically re-enforce the strength of the four semi-permanent high pressure cells in the sub-tropical high pressure ridge (during the Southern Summer months of December-January-February) that produce localized heating of the SST's on their western sides. The semi=permanent pressure cells are normally located over NZ, and the eastern South Indian, South Atlantic and South Pacific Oceans. 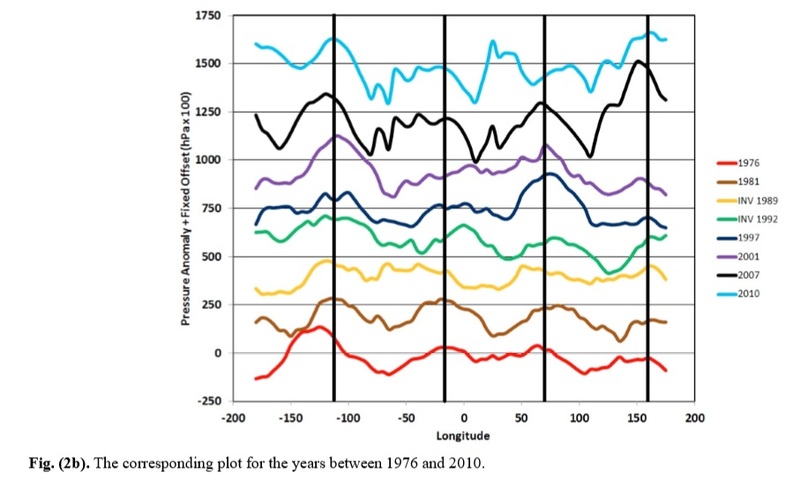 Here we have proof of the effect of astronomical influences (in this case the lunar atmospheric tides) upon the Earth's climate. SST Anomaly 19/12/2017 showing the prominent N=4 standing-wave like pattern. Four "H" symbols are superimposed on this plot to show the location of the enhanced semi-permanent high pressure cells in the Southern Sub-Tropical High Pressure Ridge. Congratulations on identifying these natural cyclical patterns. Have you done any work on the weather resulting from these patterns? I feel that it should lead to long-term forecasting of S.Hemisphere weather. Thank you for the compliments. I have three climate papers in the works. One out to peer review, a second near completion, and a third in the planning stages. All of these concern the influence of the luni-solar tides upon the Earth's long-term climate. This leaves with little time to follow this work up with a forecast that is specific to the Southern-Hemisphere. One prediction that I can make is that there is a > 40 % chance of a moderate to strong El Nino event that will begin sometime around June 2019.